THREE TO BE’s mission is to advocate and raise funds to support and advance the development of innovative research, education and therapies for children with neurological disorders. A couple weeks ago I was invited to the 5th annual Stems of Hope Gala put on by Three To Be in support of children with neurological disorders. 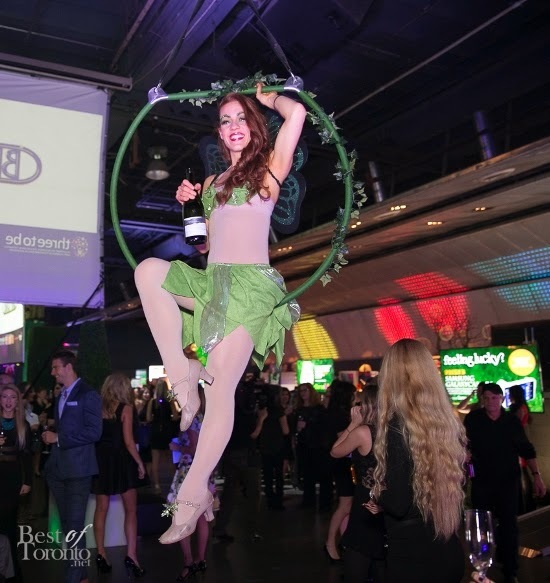 The theme of the evening was THRIVE, and the team transformed The Kool Haus into a fantasy forest setting with fairies hanging from swings and pouring out champagne as soon as you walked in! AKA - my dreams come true. There was a silent auction with some amazing prizes and there were even innovative assistive technologies on display. We weren't left hungry either - there was a wide variety of food Tim Hortons, Cheesewerks, Fonda Lola, Dave & Busters, Oyster Boy, and so much more! 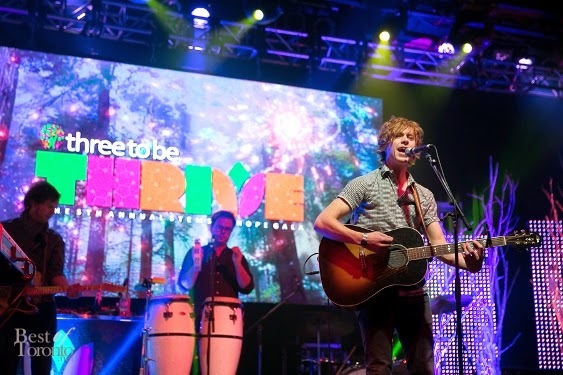 The evening was hosted by Cheryl Hickey and Anthony Farnell and when we walked in Toronto’s cover band - Dwayne Gretzky was on stage performing. They were amazing and definetly had the crowd singing along and dancing up a storm! 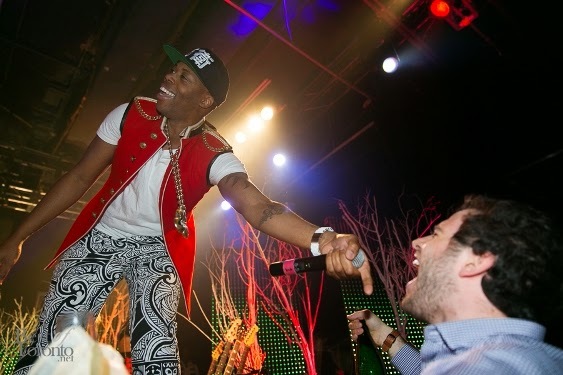 Later on, Toronto party scene staple - Kardinal Offishall hit the stage and the crowd went nuts. Especially when he got some over zealous fans to sing along on the mic! LOL All night we were sipping some delicious Iceberg cocktails and dancing on the dance floor! The Hummingbird was my favourite...I'm hoping to recreate this cocktail! Delicious, sweet... and tasted like Koolaid! The Hummingbird made with @iceberg at #ThreeToBe is delicious! Throughout the night, there were speakers who took to the stage to share how Three to Be has impacted their lives. 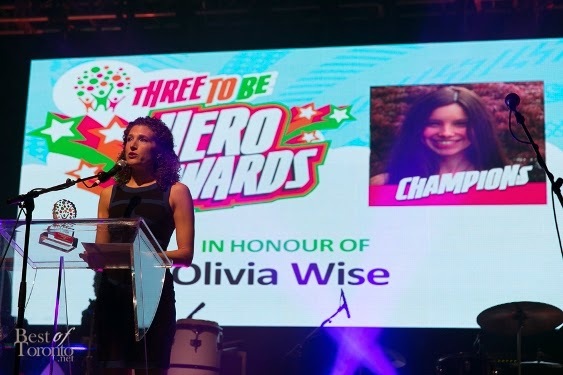 The recipients of the gala’s Three To Be Hero Awards, which honors heroic efforts of individuals making a difference in the lives of children with neurological disorders - also took to the stage. Wesley, pictured above - made my cry my eyes out with his very motivating and inspirational speech! The guests at the Three To Be, Stems of Hope Gala were incredibly generous. There was a live auction, on top of the silent auction - and an amazing prize including backstage passes to the Victoria Secret Fashion Show in London, England went for $15,000! 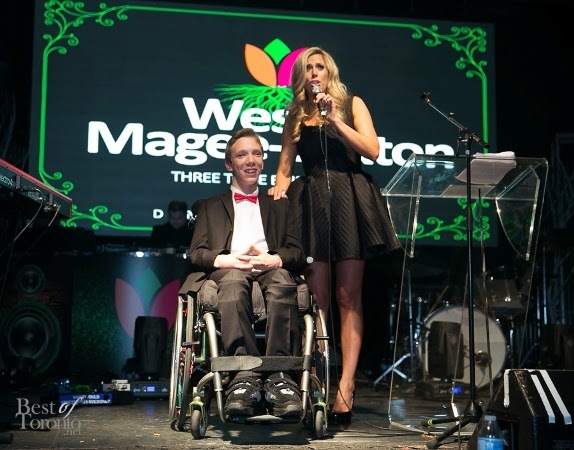 It's such an amazing cause - I was so honoured to be there and help out in any way I could! I did not, however, win this prize! Slow Motion Booth- Three To Be Gala from SixFeat Media on Vimeo.